Aquarium protein skimmers are easily one of the most important parts of your tank mechanisms. We’ve mentioned that a few times in the several buying guides for the best saltwater protein skimmers we’ve put out so far. But for this guide we’re talking about a protein skimmer for tanks that are larger than your fishbowl on the office desk aquarium or the dorm room dresser tank. These larger tanks, 150 gallons to 300 gallons, require much stronger protein skimming capabilities. These tanks aren’t the hang on or free standing type we’ve discussed in past buying guides. The assumption on this guide is that, first of all, you’ve got a place to put the skimmer. Many sumps (a separate smaller accessory tank divided up to house a protein skimmer and other items to keep your aquarium clutter free) come with space for a saltwater protein skimmer, while some skimmers will sit freely. But these are going to be devices that are too large to be utilized as a hang on device. These are also large protein skimmers that perform heavy duty in any saltwater conditions, but make sure to check on each of the descriptions to be sure that’s the case and your tank meets requirements. Research is a vital part of this process and warnings shouldn’t be ignored, we’re talking about living things here. You need to pay attention to the pump requirements and the needs of your tank. You’ll also need to check the sizing, instillation requirements, and any components that don’t come with the pump kit (some cheap protein skimmer kits don’t include everything you need). So read through this buying guide with a detailed eye and get cracking on your options. 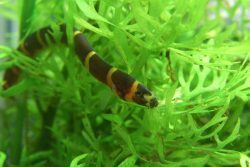 This list is for the best protein skimmers designed for fish tanks between 150 gallons and 300 gallons. This is a great example of how these fish tank protein skimmers at this size differ from the ones we’ve looked at so far in these buying guides. 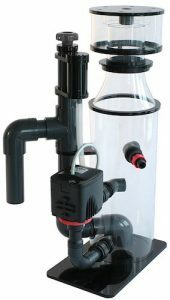 Rather than having a hang on option, this is an in sump only protein skimmer. Many sumps come with room for the protein skimmer to be placed and this is an example of how to utilize that open space. This one has a compact size that will allow it to fit virtually any sump. This is a 9 pound pump so it’s going to be a bit heavier than the protein skimmers you’re used to. It works with tanks up to 180 gallons and utilizes an Atman 2000 needle impeller pump. There is also a silencer to help keep noise reduced. This pump works great but the downside is that it isn’t exactly meant to be used for a long period of time. So if you need a long term fish tank protein skimmer this might not be the choice for you. This aquarium protein skimmer works for up to 210 gallon fish tanks. It utilized the pinwheel (also known as the needle wheel) filtration system to get the most out of the water to air coverage, creating an excellent amount of bubbles for toxin capture. It’s lightweight and compact. It’s designed for in sump use only so this is another protein skimmer designed to be placed within the sump for use. The 4 inch neck leading into the collection cup is easy to use and easily removable for user friendliness. Like the above skimmer, this is another one not meant for long term use as it can wear down over time and lose a lot of its power. So, again, look elsewhere for long term use. The Hydro comes in two capacity options that work for our purposes. The first is 125-200 gallons and the other is 200-300 gallons. Both have a complete skimmer range and are low noise. Both are low in energy consumption, have adjustable flow return to allow for placement anywhere and a collection cup drainage system with a foaming pump. The smaller model weighs 8.2 pounds while the larger one weighs 10.3 pounds In both cases it’s a moderate weight for the size and scale of the skimmer across the tank. 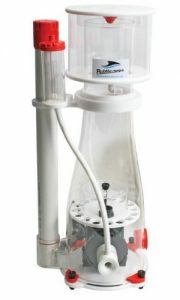 It’s designed for saltwater aquariums with both models including a venture silencer. The downside is the skimmer drops the water level and when it does not rise again, the depth change sensitivity causes the pump to stop working. This is a high performance pump designed for tanks up to 240 gallons. 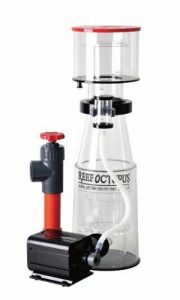 It utilizes an SP1000 internal pump and needle wheel with venture intake for the optimum size and amount of bubbles for toxin capture. The included bubble plate also reduces the turbulence in the reaction chamber and the curve on the body allows foam to rise smoothly from the collection cup. It’s 9.6 pounds which puts it right in the average range for the protein skimmers thus far. 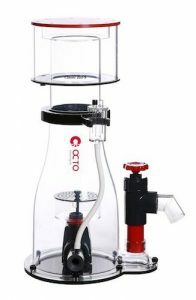 It includes a silencer for maximum quiet workings, a quick release collection cup, and equally user-friendly skimmer body for easy cleaning. The compact footprint makes it easy to install as well. There can be problems with the overflow getting into the inlet causing the filter chamber to become clogged but if you monitor it then it shouldn’t be a problem. The Coralife protein skimmer is certified for use to up to 220 gallons in your fish tank. 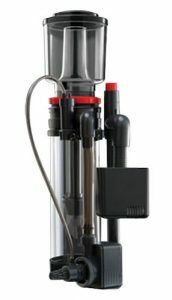 It utilizes a needle wheel water pump and effectively removes organics from the tank before they have a chance to break down and affect nitrite levels. At 8.4 pounds it’s very lightweight for its size and capacity. 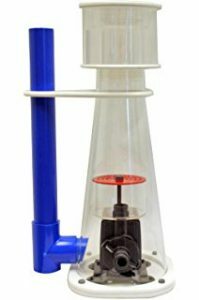 This one is great for all saltwater aquariums and utilizes a high performance foam fractionator with patented needle wheel impeller and aspirating venture all to create a clean and healthy environment for your fish. The reaction chamber utilizes a high energy vortex to capture toxins in the bubbles. The downside here is that this skimmer can be prone to overflow when the skimming output and flow are out of sync with each other. So you’ll want to monitor that closely to ensure it continues to work well. This is another in sump protein skimmer and works for up to 265 gallons of water in your aquarium. It’s constructed from high quality and impact resistant acrylic and disassembles fairly easily for cleaning and maintenance. The wine glass cone shape body naturally stabilizes and concentrates the foam with captured toxins. The foot print is small and the pump utilizes a 3000s pinwheel pump. The power consumption is 35 watts and the air draw is 871-880 LPH while water draw is 211 GPH for maximum air to water contact and bubble formation for toxin capture. There’s no real downside to this one beyond what your own preferences may be (perhaps you want a non-in sump protein skimmer). It does have strict installation requirements but thats just a personal issue. This is a great option for larger fish tanks. 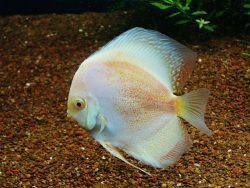 Keeping your aquarium clean is easily the most important part of keeping fish as pets. Protein skimmers utilize bubbles to capture organic compounds before they have a chance to breakdown into unwanted toxins. 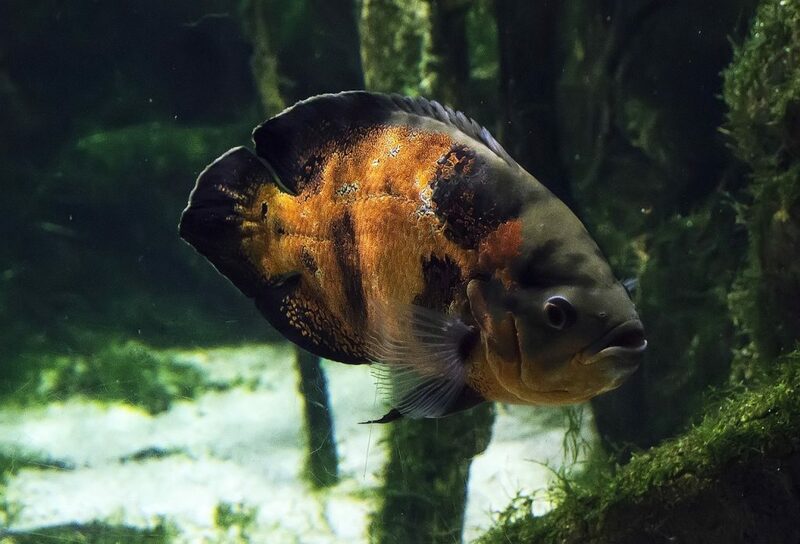 But not all of them are the same and you need to do your research before completely deciding on one for your fish tank..
Read this list of the best protein skimmers for aquariums from 150 gallons up to 300 gallons, check out the downsides, and have fun! Let us know in the comments your questions, concerns, or experiences.